What would it be worth to your company if each member of your healthcare sales force made 20 to 40 additional sales calls every month? 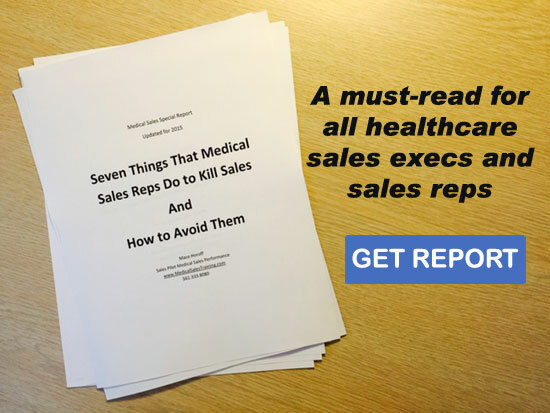 For healthcare sales professionals, the list of things to do never ends. Couple that with the need to respond to emerging business opportunities and the endless demands of the “stat” healthcare environment and you can understand why people in your organization often feel like their time is “out of control”. Time seldom goes as planned in the fast-paced, competitive world of healthcare sales. But your staff and sales people must manage their time effectively, or their time will manage them. The problem is not a lack of time to get things done – the problem is in knowing how to get things done with the time available. In your business, productivity is not an option. These skills are essential tools for the development of a strong sales force. Without these tools, your people run the risk of only responding to events as they happen instead of spending their time generating revenue through sales. Additionally, employees who endure prolonged periods of “feeling out of control” start to experience “burnout.” When your sales force is teetering on the brink of burnout, your best people lose their effectiveness and your sales stall. Healthcare sales and marketing teams must address their time demands proactively instead of reactively. Your sales force and your competitors’ have the same number of minutes every day. The sales force that manages its time more effectively will have more opportunities to drive sales. The Productivity Program presented by Sales Pilot can help catapult your healthcare sales professionals to new levels of productivity on the job, as they establish a healthy work-life balance. Call Sales Pilot at 561.333.8080 or email us to discuss how we can make your sales force and your entire corporate team more productive to do more and sell more every day.